Hands in the air, waving my phone and having the time of my life – that’s what it was like when I went to the Rolling Stones 50th Anniversary tour a couple of years ago. And the Stones hadn’t even taken the stage yet. We were still rocking out to the opening act (I don’t remember who they were at this point, but they were fun and they were good). That opening band also did their job. They got the crowd warmed up and feeling good so that when the Stones took the stage we were in the PERFECT state of mind to be ULTRA responsive to their music. Which is what any good band wants. When it comes to online business, I consider Email List Building and Retargeting to be the perfect opening act. Combined, they are as invaluable to your business for the exact same reasons it worked for the Stones. If you put it together well then it can do the same thing as the opening act at the Stones concert. It will put your customers in the right frame of mind to be super responsive to YOUR offers, and it can double and sometimes triple your conversion rates. 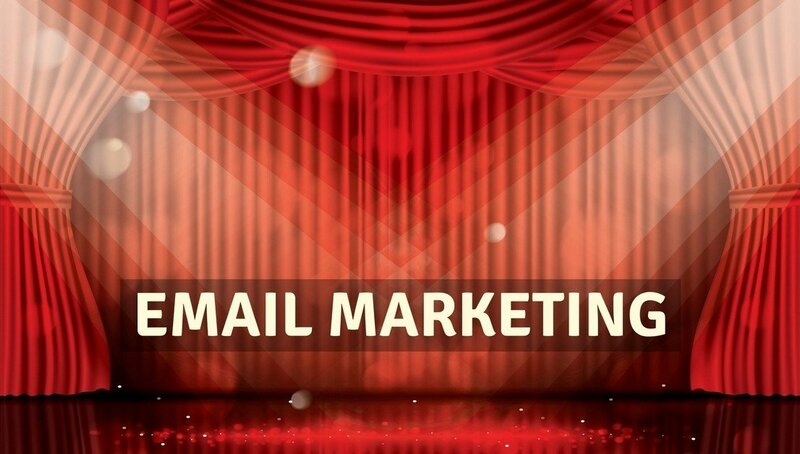 Today we are going to look at the first part of the Opening Act Dynamic Duo: Email List Building. Specifically the offer you use to GET THE EMAIL. Next time we’ll take a look at how to leverage retargeting lists (which is super powerful and OFTEN overlooked). The Opening Act Dynamic Duo make up the very first part of your sales funnel – where you take a bunch of people and narrow them down to get to your buyers. But before we do either of these you need to get the right “marketing mindset” before you go on to The Opening Act. If you haven’t done so already, be sure that you’ve read both The Fail Factor and the 3 Step Magic Formula which set the stage (pun intended) for the Opening Act. Don’t worry, I’ll be here waiting for you. Big Question – Everyone says to get a big email list, but is the money REALLY in the list? If you’ve been marketing for any time at all you’ve heard that “the money is in the list”. 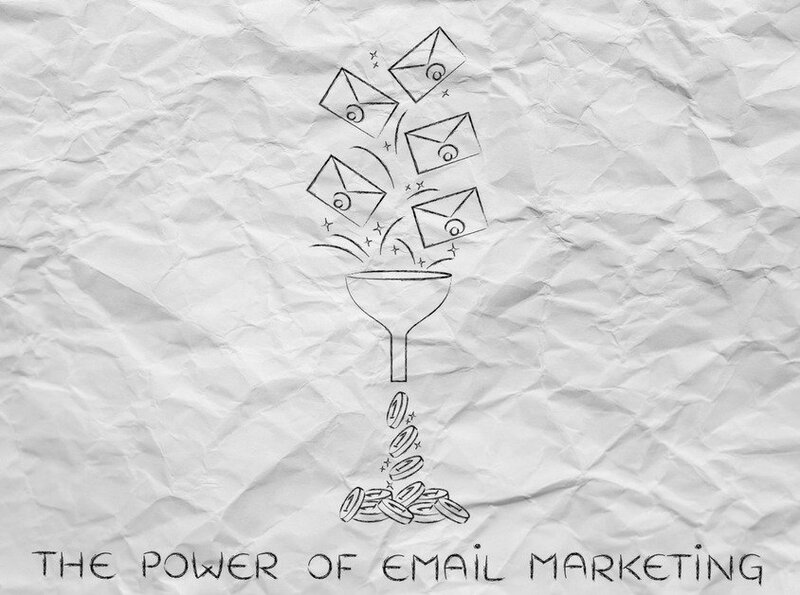 Which boiled down, means that the more subscribers you have on your email list the more sales you will make. And it must be true, because so many people say it, right? There is A LOT of money in an email list (and a retargeting list – more on that next time), but only if your initial offer that gets them on the list is clear and your subsequent emails are CONGRUENT with that offer. This offer is what is the first half of our Opening Act. If you have a HUGE list that you got in a way that isn’t specific enough then you probably will not make a ton of money from it. You need an email list that is highly targeted. One that contains as many of your ideal customers as possible. So your initial offer that gets people onto your list has to be right. It needs to get your ideal customer on your list while keeping other people OFF your list. If you can do it right, then there will indeed be lots and lots of money in your (highly targeted) list. Here are the three basic steps in creating a good offer that gets the right email subscribers on your list. This is the most important part of creating an offer that will really, truly, and profitably resonate with your audience. It’s also the part most people either skip or get hung up on. But it doesn’t have to be scary or difficult. I’m going to show you a simple way to research your audience that will let you create an AMAZING offer – one that will pull the right people onto your email list like bees to honey. There are several ways to do good research. I’m going to give you my top 3 tips here, but I want you to use these as a jumping off point and really dig into your audience. 1. Understand what you are looking for in your research. Language – every niche or vertical has its own unique dialect and jargon. When you see a repeated theme that is unique to your vertical write it down. 2. Prepare to do research. You don’t need a ton of supplies to do research. But you do need to set aside some time and have the right mindset about it. Research into who your customer is will pay off huge for you in the long run. Figure on 3 to 6 hours for proper initial research, and set aside the time to do it uninterrupted. Many people do better breaking it up over 2 to 3 days. The only other supplies you will need are a good internet connection, a word type doc (I like Google Docs), and a mind-map software (X-mind is free and works great – I like MindMeister). 3. Where to find the information you need and how to put it together. This is actually the easy part. I’m going to give you a list of places I normally do my own research into a niche, but before that, I want to tell you what to do with the data you mine from these sources. Look for the information I outlined in the first step – emotions, pain points, and language – and copy and paste everything you find into your word type doc. Look for recurring themes and put them in your mind map. Try to see how these themes connect to each other. Important: DO NOT EDIT or LEAVE THINGS OUT at this point. That is the next step. By the time you are done, you should have at least 5 to 10 pages of copy and pasted notes and a mind map with connected themes. Most importantly you will have lived in your ideal customer’s shoes and will be in a much better position to craft an appealing offer. You will then use this information to build your customer profile, which is the next step. A customer profile is a document – usually between 500 to 1000 words – that describes your ideal customer in detail. This document will help you develop your email capture strategy and give you a much higher chance of success. Creating one can seem intimidating but it doesn’t have to be. Here are the parts that should be in your customer profile. Address the themes in your mind map. Use your research as a reference and feel free to copy and paste pieces of your research where it seems appropriate. This document is only for internal use, and using the actual language of your customer from your research will only make it more powerful. Now that you have your customer profile done it’s time to move onto step 3. There are a couple of different types of ways you can create a compelling offer to get people to sign up to your email list (the Opening Act). You can embed a sign-up offer in a blog post, or create what is known as a squeeze page, or a thousand of other variations. Though I use several different tools in my online business, the most common tool I use to create landing pages is OptimizePress (however any landing page builder like LeadPages, ClickFunnels, or whatever the flavor of the week is will work). Please, don’t overthink this. You’ve already put in the hard work. At this point, you just need to create an offer and test it. Try not to get emotionally attached, with every test you learn and will make your Opening Act better. Remember The Fail Factor and the 3 Step Magic Formula. The first thing you want to decide is what type of landing page – the page people come to from your ad – you want. It’s easiest to start with templates. So look for examples or use one of OptimizePress’ proven formats. Then you decide on your offer. Most people give away a checklist, templates, a PDF report, or some type of coupon or discount in exchange for people joining their list. If you are giving away a free PDF, then keep it short so it’s easy to create. Then plug your research into the landing page. I know this sounds overly simplified, but it’s better to get the offer out there based on proper research than to get stuck at this point. Any landing page tool makes this pretty easy. Just edit their templates with your own offer. And if you are offering a PDF, attach it to your first follow up email. Finally, you need to put it all together with your autoresponder. Most landing page tools have direct integrations with third-party email autoresponders. While building a funnel requires multiple steps, it all starts here, with a really good Opening Act. If this seems a bit overwhelming, don’t worry… in a future article in this series, I’m giving you 5 steps to a high converting squeeze page along with some examples of good landing pages and where to put what. But before that, you’ll want to implement Part 2 of The Opening Act which is to retarget your website visitors to bring them back and increase sales.